Houston, Texas—In God Gave Us Wings: A Journey to Success: Theirs, Mine, and Yours, Connie Rankin shares the stories of 10 powerful women, including herself, who have survived incredible challenges, learned to thrive and completed the circle by giving back to others. Writing God Gave Us Wings, which will be released April 4 by Morgan James, was Rankin’s own way of giving back to other women after she found that her successful commercial real estate business was bringing her less joy. Her search to find more meaning led her to conclude that other women shared her predicament. “I found that other women were also asking themselves, ‘Why am I doing this?’ There has got to be more to life than having a successful business, a nice home, and nice car. The missing ingredient is paying it forward,” she says. Rankin wrote her book to encourage others to rely on their strength, courage, and resilience to achieve more than they ever thought possible. Among the women featured in God Gave Us Wings is Kendra Coleman, a Wounded Warrior who lost her leg eight years ago while serving in Afghanistan. Coleman not only wanted to walk again but to walk in four-inch high heels. Today, using a special prosthetic, Coleman does just that, inspiring audiences with the journey she endured to become whole again. Step into your fears. Figure out what caused them and learn to overcome them. In her case, a paralyzing fear of public speaking was holding her back. She enrolled in Dale Carnegie courses and found that speaking got easier. Give yourself permission to be imperfect. Women tend to focus on what they didn’t do and lose sight of all the good things they accomplish. Be willing to give without expecting anything in return; you will be surprised at the huge benefits you receive. 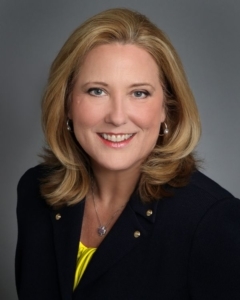 Credentials: A nationally recognized leader in female empowerment and sought-after media guest in Houston, Connie Rankin is president of CRES, a commercial real estate firm. She is the recipient of multiple prestigious awards for helping other women. Among the challenges she overcame include a near-fatal childhood accident, abandonment by her father and homelessness.